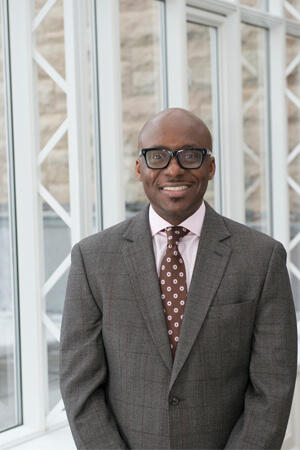 Higher education professional Ronald Smith, most recently of Oakton Community College in Skokie, has been named as NIU’s new director of community college partnerships, effective Jan. 17. Smith, who holds a master’s degree in human resources management from the University of Phoenix, served for the past two years as Oakton’s senior manager of workforce development solutions. Prior to that, he spent five years in leadership roles directing community college partnerships for Career Education Corporation in Schaumburg and the University of Phoenix. At NIU, Smith is responsible for initiating, coordinating and leading all partnerships with Illinois community colleges. NIU is at the heart of an educational region served by 20 community college districts and 26 colleges. This past fall, transfer students made up 46 percent of the NIU undergraduate population. Smith fills a vacant position that has been restructured to report to the Division of Academic Affairs. In addition to working extensively with the state’s community colleges, Smith will work closely internally with the divisions of Student Affairs, Outreach, Engagement, and Regional Development and Enrollment Management, Marketing and Communications. “I was drawn to this role because it directly aligns with my knowledge and talent for developing transfer pathways for community college students,” Smith said. “I possess unique experience, having worked at both two-year and four-year institutions. My keen understanding of the higher education environment will enable me to build strong relationships leading to increased transfer student success. “I am driven by my passion for higher education and truly believe in the benefits of creating transfer pathways, which encourage students with prior learning to leverage that experience toward advancing their education to degree attainment,” he added.